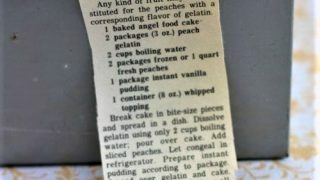 Front of the recipe card for Peach Dessert. 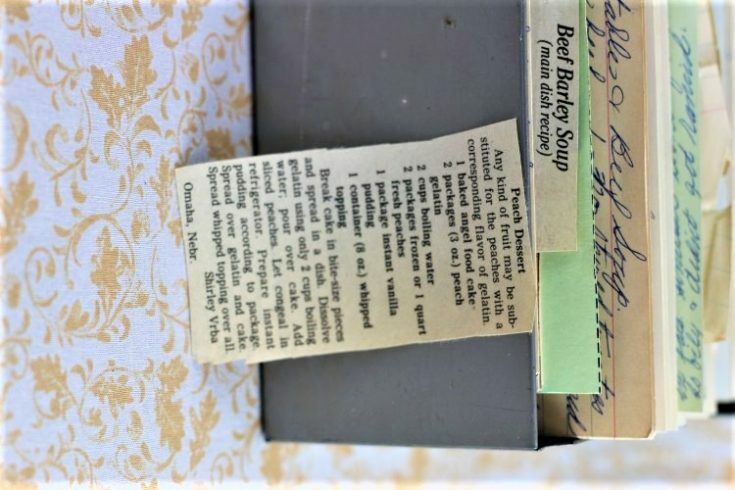 There is a notation at the bottom that the recipe was submitted to the publication from Shirley Vrba from Omaha, Nebraska. I found Shirley using Ancestry and found that she was Shirley J. GERRARD Vrba who was born in 1937 in Nebraska and passed away in 2013 in Nebraska who was born to Garrett GERRARD and Mary REINKE. 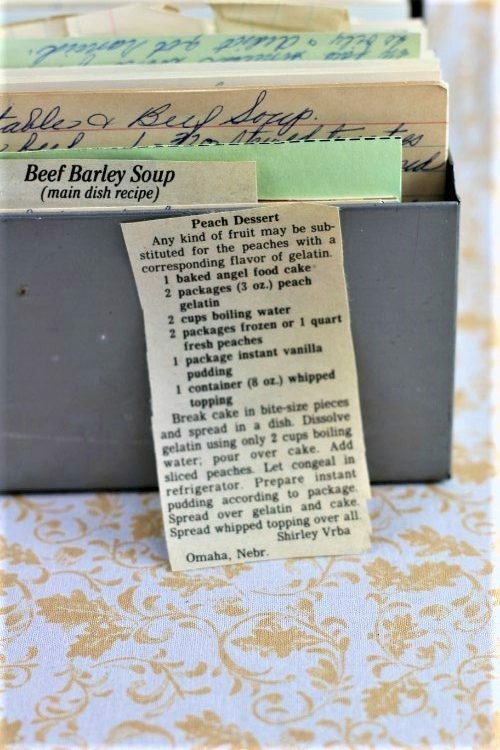 There are lots of fun recipes to read in the box this recipe for Peach Dessert was with. Use the links below to view other recipes similar to this Peach Dessert recipe. If you make this Peach Dessert recipe, please share your photos and comments below! Break cake in bite-size pieces and spread in a dish. Dissolve gelatin using only 2 cups boiling water; pour over cake. Prepare instant pudding according to package. Spread over gelatin and cake. Spread whipped topping over all. Any kind of fruit may be substituted for the peaches with a corresponding flavor of gelatin.